PARADISE, Calif. -- Pacific Gas & Electric Co. says it experienced a problem on an electrical transmission line near the site of a massive fire in Northern California minutes before the blaze broke out. 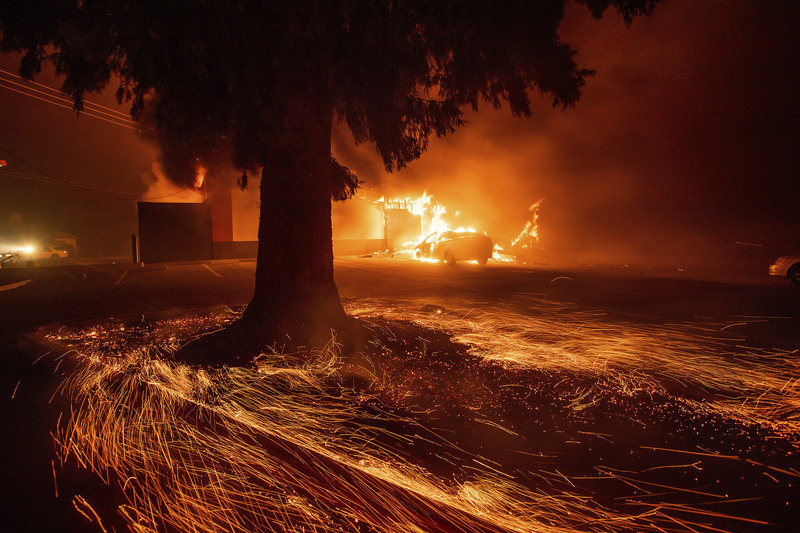 The fire has killed at least six people and destroyed hundreds of homes. Paradise is 180 miles northeast of San Francisco.